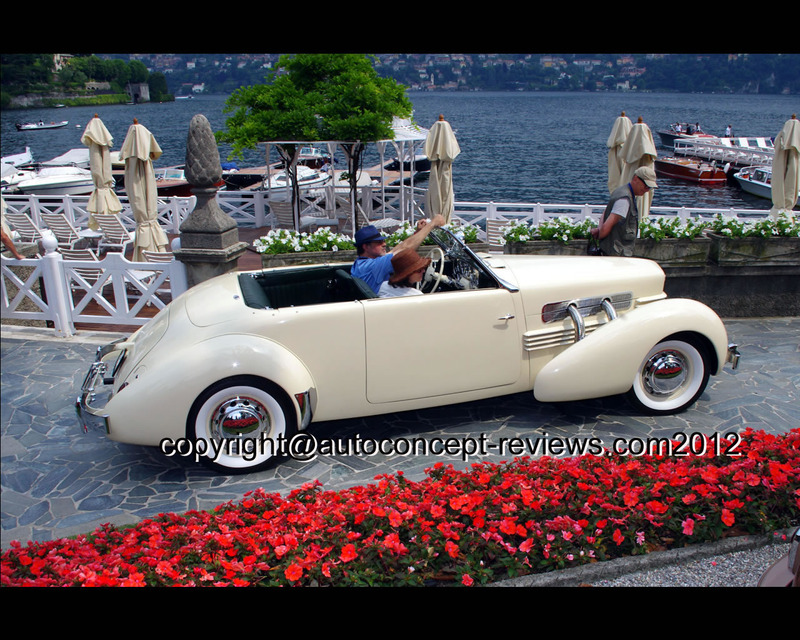 The American automobile manufacturer Auburn produced and sold a small number of technically innovative and extravagantly designed automobiles in the luxury class under the brand name Cord between 1929 and 1937. The first model of the Type L-29 already produced a surprise in that it was the first car in the USA to have front-wheel drive. 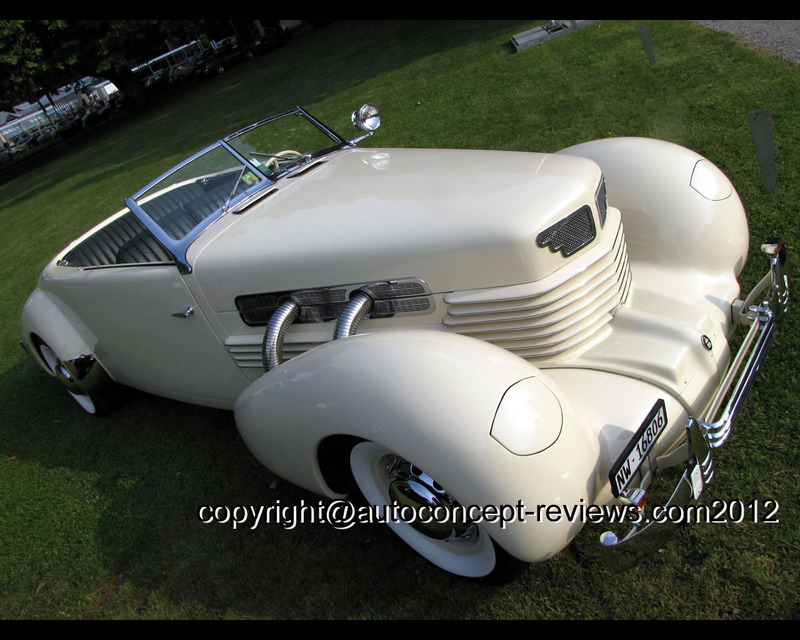 The Cord 810 shown in New York in 1935 was even more spectacular with futuristic body styling by star designer Gordon M. Buehrig. The front-wheel drive made the car so low that it could dispense with the running boards that were usual at the time. The headlamps were hidden under flaps that opened automatically. 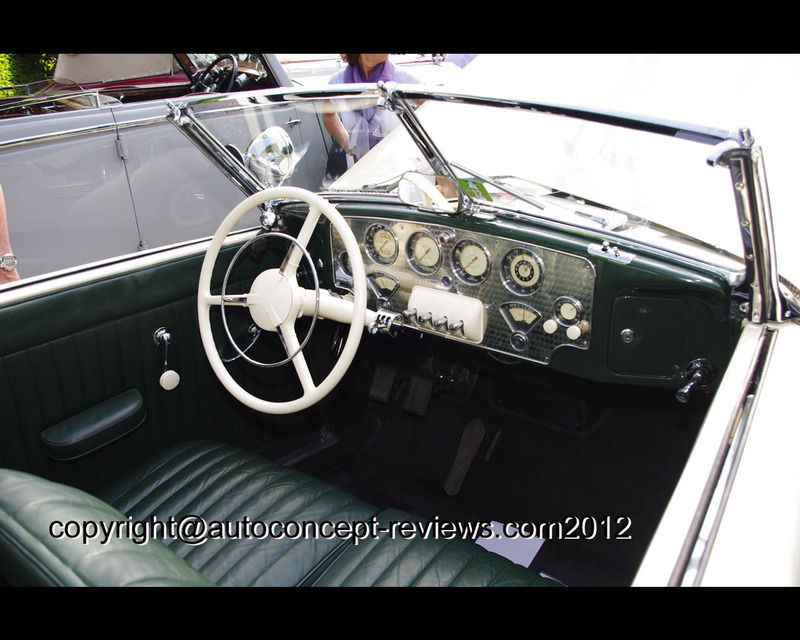 The instrument panel with an aluminium finish and round instruments was reminiscent of aircraft construction. Windscreen wipers at different speeds were also supplied as standard, and a radio was included – revolutionary in 1935. If the power of the Cord 810 was not enough, you could opt for the supercharged Model 812, which could generate output output of at least 170 hp with its 4.730 cc V8 engine and supercharger. 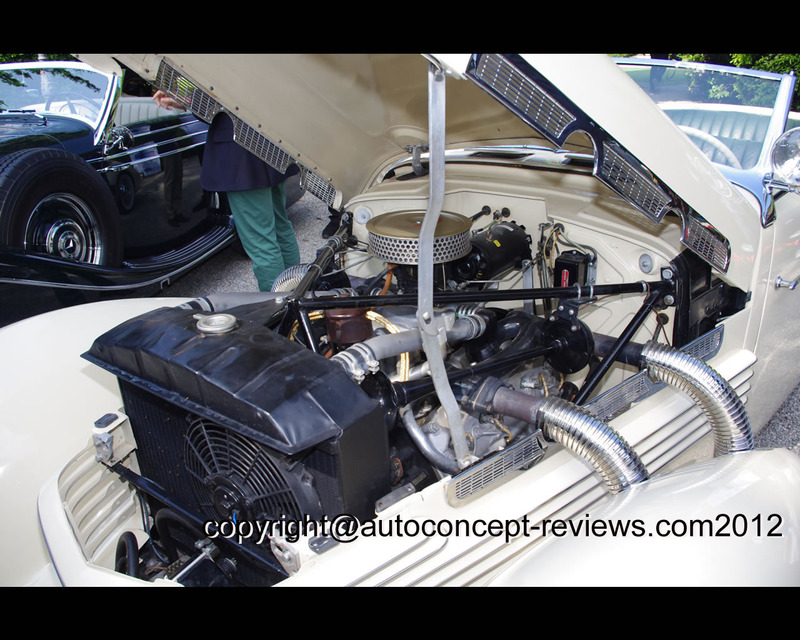 This Cord 812 Phaeton S/C is one of six body versions supplied and only 196 cars were built with this particular design. This rare Cord was completely restored in the 1970s. 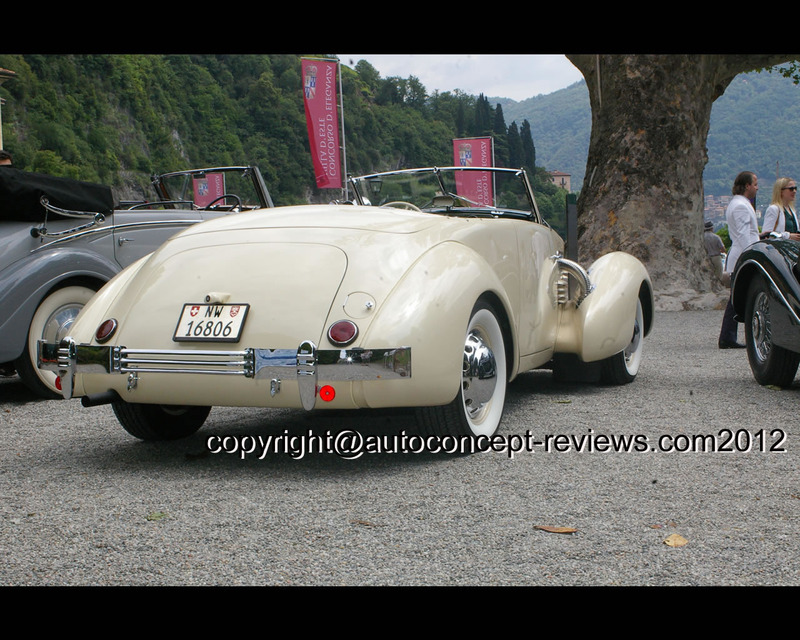 This Cord Phaeton S/C 1937 was presented at the 2012 Concorso d’Eleganza in Villa d’Este by Swiss owner Mario von Allmen and gained Mention of Honor in the Class A – Graceful Open Air Style.